Equipped with Bretec®-rotary connector technology. For short-term use outdoors IP 44. 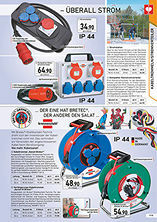 Extension cable drum with plug and socket. Overheating protection: control lamp shines when overheated and overloaded. Drum unit made of Breflex® special plastic. Stable steel tubular frame with ergonomic handle. 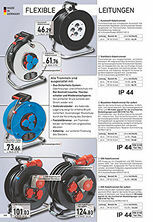 25/50 m rubber cable, H05RR-F 3G1,5. 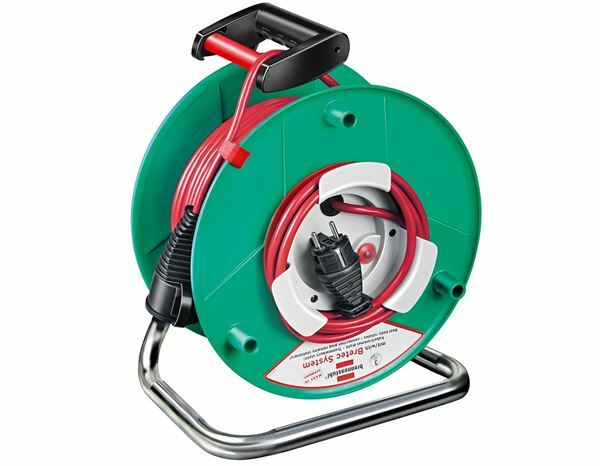 Equipped with Bretec®-rotary connector technology, the inside of the cable drum does not rotate. 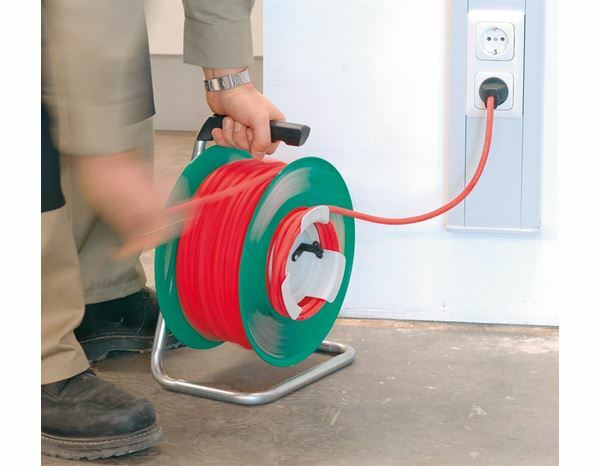 This prevents connected cables from becoming twisted during unwinding! No more cable chaos!